One of the significant things we identify ourselves with, is that we really care for our clients. It means our clients’ interests are at the top of our priorities. Unlike most of our competitors, we make sure our clients’ requirements are met first. This is how we are able to get them the right properties for their purpose, and of course, the best deals in getting those properties. Caring for our clients also means looking out for possible problems in order to avoid them before they happen. We fix issues if they arise, offer solutions and make sure things are done properly, legally, efficiently. We do our very best in observing the diligence required by the nature of the transactions we assist our clients with. This is why the clients we have served, place their confidence upon us. Not only our clients actually, but also our dear readers and subscribers to our blog. As a showing of this trust that people have in us, they nominated us to be the recipient of the “Most Trusted Brand” award by the National Consumers Affairs Foundation – Consumers’ Choice Awards, in the real estate brokerage category. 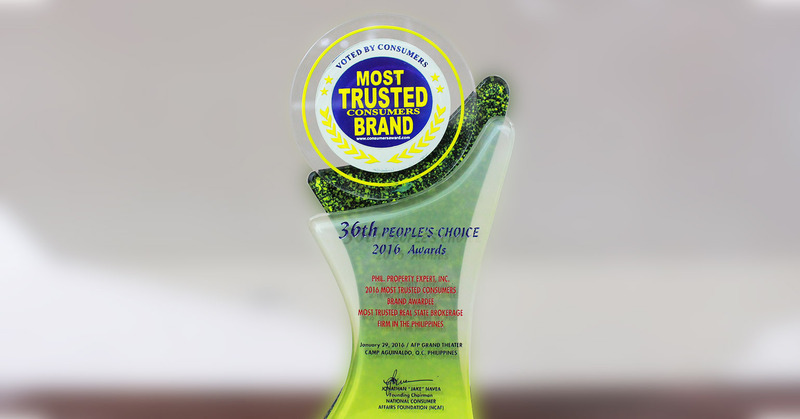 On January 29, 2016, PPE, Inc. was conferred by the National Consumers Affairs Foundation the “Most Trusted Brand by Consumers” in the real estate brokerage category. The NCAF is a non-government and non-profit organization who has been looking out for the rights of consumers and fighting for consumer-oriented reforms in the country. The People’s Choice Awards is just one of their activities to further their cause in motivating businesses in the country to strive for excellence and provide better products and services to the public. Year 2016 is already their 36th year in conducting the activity. We feel very honored by the award and at the same time, humbled. 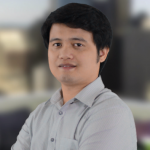 With this honor, the more we feel the responsibility to keep true to our promise, in delivering only the best services to our clients, and to keep producing helpful content on our blog, to spread the right information that people should know about the real estate industry in the Philippines. Are you planning to purchase a property in the Philippines? Do you have a real-estate-related transaction you want to get help with?